As the COP22 opens this week in Marrakesh, recent news about solar power has been positive, with record-breaking tariffs reflecting the fast-declining price of solar electricity. But even solar plants can come with a heavy environmental footprint, writes Andreas Wade. Andreas Wade is global director for sustainability at First Solar, an American photovoltaic manufacturer of rigid thin film modules. While the focus has been on the attractive economics of utility-scale solar, it is often taken for granted that solar energy is inherently environmentally sustainable and that its carbon credentials don’t require scrutiny. The fact is that even solar power plants have an environmental footprint on a lifecycle basis. For instance, Concentrated Solar Power (CSP) has a footprint of 20 grams of carbon dioxide (CO2) per kilowatt-hour (kWh) of electricity produced, in addition to consuming vast amounts of water. Similarly, photovoltaic (PV) power plants also have carbon footprints which, on a lifecycle basis can range from 12g per kWh for a facility using First Solar’s thin film modules, to as much as 24 g per kWh – for one using multi-crystalline silicon panels. According to the European Commission Product Environmental Footprint methodology, upstream processes generate between 80% to just over 95% of the emissions in a PV power plant’s lifecycle. This includes the extraction of raw materials, production of semi-conductor materials, manufacturing of modules and Balance of Systems (BoS) components, and construction. While the carbon footprint is of paramount importance in the context of decarbonising the energy system, other impacts created by the manufacturing of components of a PV system – such as acidification, eutrophication, abiotic resource consumption and particulate matter emissions – are also important. The comparatively high carbon footprint of multi-crystalline silicon panels is a direct result of the energy-intensive processes required to refine silicon and ‘grow’ the ingots that are sliced into wafers. It is also a direct consequence of the fact that the manufacturing of commoditised multi-crystalline silicon panels had largely moved from markets where electricity has a low carbon intensity, to countries that often rely on coal and other carbon-intensive forms of electricity generation. 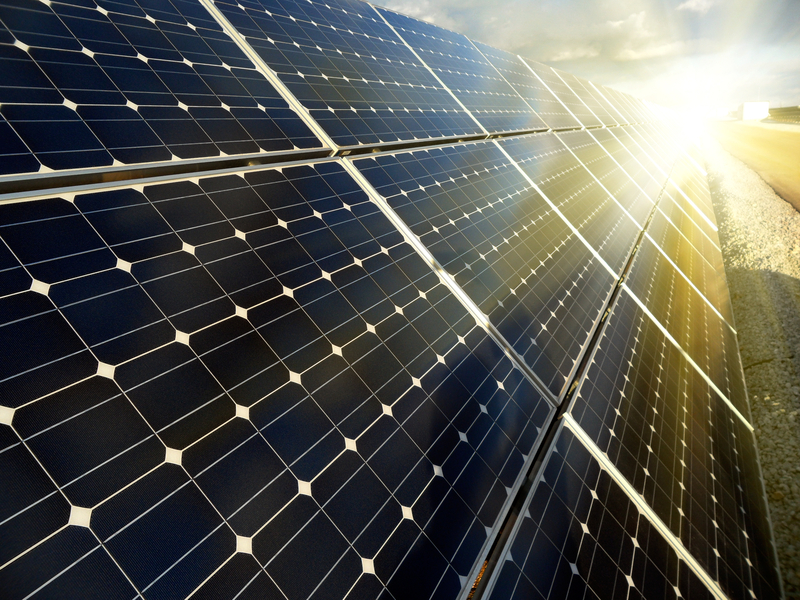 As a result, many of today’s commodity PV modules may come with a heavy environmental price tag. While the Energy Return on Energy Invested (EROEI) equation demonstrates how quickly a PV module can recover the energy required to produce it, it often tends to be treated as an added frill, as opposed to an important metric. In Europe, this is largely due to the legacy of subsidy-driven tariffs, which paid for solar electricity without necessarily looking into the carbon footprint of the facilities that generated it. Since the goal was to replace carbon-intensive generation with clean energy, one could argue that 24g per kWh for a multi-crystalline silicon power plant is still a significantly better deal than having almost 1,000 g of CO2 emitted for the same amount of electricity generated by coal. However, as we transition to tender-based renewable energy programs, regulators in Europe and beyond now have an opportunity to build on the gains made in reducing the overall environmental impact of their power generation portfolios. New policies that make it necessary for independent power producers to competitively bid for generation licences, allow governments to ensure that they’re nurturing a renewable energy sector that is both, cost and carbon competitive. How? France has effectively pioneered a new benchmark for the rest of the world to follow. While most competitive tenders focus on price and technical compliance, France’s Agence de L’Environnement et de la Maîtrise de l’Energie (ADEME) has designed a system to ensure that the country derives maximum value – and not just in the financial sense of the term – from its utility-scale solar energy investments. A recent tender for 200 megawatts (MW) of solar power placed a 15% evaluation premium on projects that used PV modules with low carbon footprints. In other words, developers that wanted to win a Power Purchase Agreement in France needed to compete on more than just price – they needed to compete on the environmental sustainability of their projects. While some may say that the policy has a hint of trade protectionism about it, I would argue that it actually helps the country ensure that its renewable energy program is as environmentally sustainable as it can possibly be. While it is true that this excludes a number of lower tier panel manufacturers that don’t have the financial firepower to invest in low-carbon manufacturing, the policy effectively protects France from utility-scale deployments of more carbon-intensive PV panels, without sacrificing the economic competitiveness of its program. This is a clear demonstration of how evaluating the environmental footprint can be effectively embedded in the competitive process. France’s progressive policy on reducing the carbon footprint of its solar energy program serves as a precedent for other countries to follow. The tools – such as France’s competitive tender structure and a new European initiative to introduce ecolabels for PV modules – already exist. And as PV is established as the lowest-priced electricity, it is time to level the playing field further and include the environmental externalities of electricity generation in this equation. We need to ensure that we do not repeat the mistakes of the past 150 years of fossil fuel use.